This cover kinda makes me wish I’d gotten a print book of this. Not enough to make me want the hardback, but I really love this cover. Blue Sargent comes from a family of psychics, but isn’t psychic herself. Instead, she seems to be some sort of psychic amplifier, which doesn’t do her any good, but occasionally helps her family members when they have a difficulty reading. The other things Blue knows is that if she ever kisses her true love, he will die. Every psychic and clairvoyant she has ever known has told her this, so she doesn’t doubt it. The other thing she doesn’t doubt is that the boys from Aglionby Academy–the raven boys as the town refers to them–are nothing but trouble. 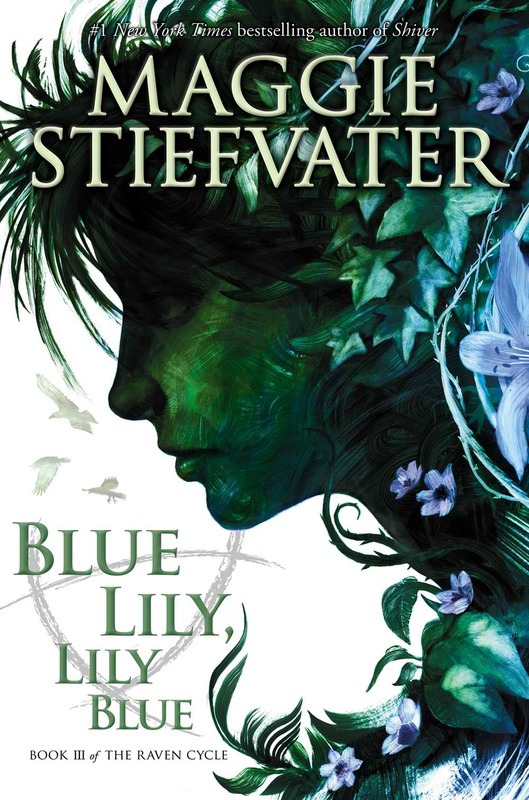 Which is why it’s extra disturbing when Blue finds herself involved with a group of raven boys–including one boy whose death in the coming year has been foreseen. Gansey is the head of his little group of friends: Gansey, Adam, Noah, and Ronan. They all go to Aglionby Academy, and with the exception of Gansey, they all seem damaged in one way or another. Blue has a very odd family–raised by her mother and her aunts–who may or may not actual be aunts. Maura had decided sometime before Blue’s birth that it was barbaric to order children about, and so Blue had grown up surrounded by imperative question marks. Mind you, Maura isn’t one of those stupid or absent mothers one sometimes finds in fiction. She’s just different. Of the boys, Gansey has the most power–both overtly through money and through his family–but also through his place in his group of friends. But it’s Ronan–so bitter and doing his best to be unlikable–that I ended up finding the most endearing. But I also feel for Gansey, especially when he talks himself into trouble. I’ve felt that way many, many times. This was a very good story that I all but devoured in a single sitting, and one I can easily and highly recommend. The only down side is this is the first in a quartet, so there’s a fair amount of waiting that’s going to be coming. I read this last year, then on a trip Michael and I started listening to the audio version. Then I remembered I had the second book in the series, so I re-read the book, and then read The Dream Thieves (oh, Ronan), and then I finished listening to the audio version. Because I am nothing if not a completest. If you’d like my original review of the story, it’s here. This is just how I feel about the audible version. First, the narrator (as may have been given away by his name, Will) is male. This actually makes sense, since four of the main characters are boys, but somehow, I was expecting it to be told in Blue’s voice. Not that the book is written from her POV, it was just what I was expecting. The narrator has to do several different accents, including the all important Henrietta accent, which both Blue and Adam have (even though Adam wishes to be rid of his Henrietta accent, and everything associated with it). He did very well with the boys, especially Ronan, although initially I wasn’t too sure about Ronan’s voice. I can’t say I loved the way he did the voices of the residents of Blue’s home. I understood what he was trying to do, but the female voices–especially Persephone–were just… odd to my ear. I can’t say this is my favorite audio version of a book, but it was well done, and I did enjoy spending the extra time with the characters. Right. Now I know why I put off reading this, even though I pre-ordered it. It’s book two in a projected four book series. 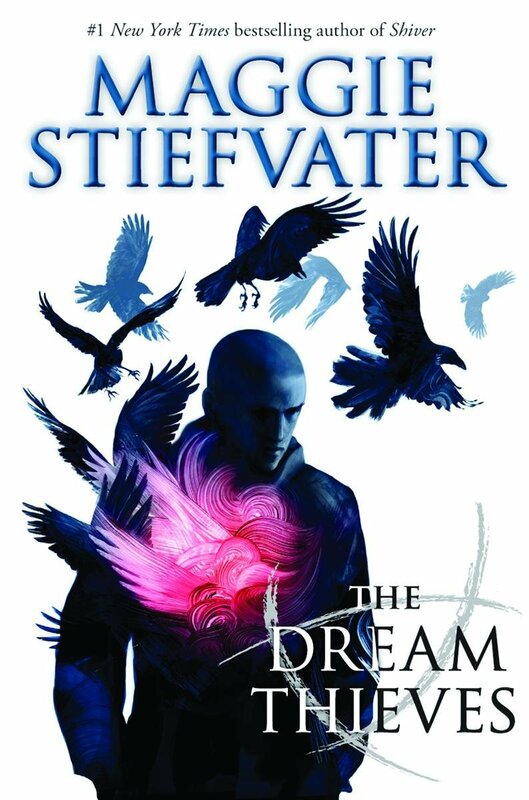 However, once I started listening to Raven Boys, I had to finish re-reading it, and then I had to read The Dream Thieves, because I wanted to spend more time in this story. First, this is very much Ronan Lynch’s story. You remember Ronan–the destroyed, rude, nasty boy who Gansey liked and cared for, but no one quite understood why. It’s a long journey, but you understand why Gansey was so patient with Ronan for so long. Ronan is damaged. We knew that from the first story. He was the one who found his father’s body, the day of the murder. He and his brothers are forbidden to return to their home, by the will his father left. He and his brothers are left only with each other–and that’s not much to be left with. This is where Gansey and Blue start to fall in love, as we knew they would from the beginning. But, of course, in the meantime, Gansey is Gansey. Gansey contemplated whether he could dive for the object. The first thing that occurred to him was his teal polo shirt — it would have to be removed. The next thing that occurred to him was his chinos — could they be removed in the presence of all these females? Dubious. He really is almost an alien. And Adam has to live with pressing charges against his father, being on his own, and sacrificing himself to Cabeswater. After a moment, he calmed enough to see how his anger was a separate thing inside him, a dingy, surprise gift from his father. Noah is present, but plays far less of a part than in the previous story (in many ways, the previous book was his story as much as it was anyone else’s story). Everyone at the table looked at him. That is an honest-to-god true fact, and amazing and fascinating and marvelous it was in there. There were so many bits that reminded me of other things: of Tom Waits, of The Princess Bride, and then there was The Gray Man. I really love Robert B. Parker’s Spenser series, and my favorite book is Small Vices, where Spenser goes up against a hit man, the Gray Man. If this wasn’t a nod to Small Vices, then it’s a very eerie coincidence. I knew this was not going to end cleanly. I KNEW it. But I read it anyway, because OMG I love this series. This book begins a few weeks after the last book ended. Maura is missing, Blue and the Raven Boys are getting ready to start school, and everything is in a turmoil. Adam is still trying to come to terms with what Cabeswater wants him to do; Ronan is settling back into being allowed home; Gansey is still searching for Glendower; and Noah is still dead. The Dream Thieves was very much Ronan’s book. This story is spread more evenly across all four characters, with some meandering down the paths of the residents of Fox Way. We also get a visit from Malory. There are so many reasons to love this story. For instance, the little peeks you get into how each of the teens turned out the way they did. She drove very slowly. The worst part of her terror was how angry it made her. There was nothing about the process of driving that seemed confusing or unfair to her. She’d aced her driver’s test. She knew what everything apart from the bacon symbol did. Road signs never perplexed; right of way was logical. She was a champion yielder. Give her forty minutes and she could parallel park the Fox Way Ford in any place you liked. But she could never forget that she was a tiny pilot in a several-thousand-pound weapon. “It’s just because you haven’t practiced enough,” Noah said generously, but he was gripping the door handle in a way that seemed redundant for the already dead. But let me be clear about two things: 1) someone dies in this book and 2) it doesn’t end well. You might be okay if you skipped the epilogue. In fact, that’s what I recommend. Just skip the epilogue entirely. Go back and read it IN A YEAR WHEN THE NEXT BOOK COMES OUT. I’m not patient. I hate waiting. But more importantly, if you have not read Raven Boys and The Dream Thieves, you need to go out RIGHT NOW and remedy that situation. Because you should also be in love with Blue and Ronan and all the other Raven Boys. Believe it or not, I preordered this book and got it when it was published. And then proceeded to not read it. Why? Because I knew this was the last book in the series. Because we’d been told from the very start that Gansey was going to die. As long as I didn’t read the last book, the story didn’t end and no one was dead. Blue is the daughter of a clairvoiant, and although she has not special talents, she magnifies the powers of those she is near. (M)emory and clairvoyance, which are the same thing in two different directions. Gansey died once on the Ley line, and has been searching since then for Glendower and the reason he survived. Adam has escaped from his abusive father, and continues to work and attend school and do everything he can to escape Henrietta and a future that might turn him into his father. Ronan is a dreamer who can create amazing things, but the loss of his father and his own confusion make him rude and obnoxious, as he alienates everyone but the four who manage to understand him despite himself. Oddly enough, Ronan, who was my least favorite character in the first book, ended up being my favorite character by the end of this book. Ronan, ferocious and loyal and fragile. Ronan who uses hostility and rudeness to cover his fragility and fear that no one will accept him. I also adore the addition of Henry, who is marvelous–yet just as fragile as the other four. If you can’t be unafraid, Henry said, be afraid and happy. This is a marvelous story, and I’m glad I finally finished it, and I love that they were off having adventures of their own. Alas, I finally finished this story. We learn a lot about the psychics at 300 Foxway. They were so close to the situation that it was difficult to tell whether or not they were the situation. “Thanks for your contribution,” Calla said. But they aren’t the heart of the story. Henry become part of the group and part of the story, and his replacement of Noah is more than acceptable. It was this: Blue, teetering on the edge of offense, saying, I don’t understand why you keep saying such awful things about Koreans. About yourself. And Henry saying, I will do it before anyone else can. It is the only way to not be angry all of the time. And suddenly Blue was friends with the Vancouver boys. It was this: the future beginning to hang thick in the air, and Henry starting a quiet, drunk conversation about whether or not Blue would like to travel to Venezuela with him. Blue replying softly that she would, she very much would, and Gansey hearing the longing in her voice like he was being undone. Ronan, once again, broke my heart. Ronan Lynch — dreamer of dreams, fighter of men, skipper of classes. Adam had seen many of Ronan’s dreams made real by now, and he knew how savage and lovely and terrifying and whimsical they could be. But this girl was the most Ronan of any of them that he’d seen. What a frightened monster she was. He was pretty sure he had just been Ronan’s first kiss. “Never,” Blue said. She didn’t say it in a protesting way, or an angry way, or an upset way. Just never. Factual. I want to start again, just to read Ronan some more. 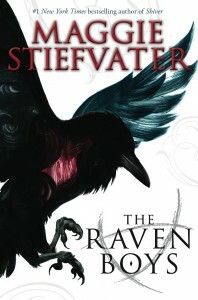 This is a short story set after the conclusion of the Raven Boys story, The Raven King. Although Adam and Ronan are in the story, it is all from the point of view of Opal, the dream creature that Ronan brought into the world with him. In dreams, Ronan was always getting into trouble, and even though he often died, equally as often Opal saved him because she was an excellent dreamthing and a psychopomp (which is the proper name for an excellent dreamthing). Being a dream creature, Opal has an unusual view of the world–and of Adam and Ronan, which makes it a very interesting point-of-view. Opal came to understand that Adam’s car was supposed to be more like Ronan’s, but there was something wrong with it called shitbox. Ronan kept offering to dream a cure for shitbox, but Adam was intent on fixing it “the right way.” This seemed to be a long process, so Ronan’s car was often missing, as Adam used it in his mysterious comings and goings. In this story we get a (very distant and strange) look at the summer after school ends but before Adam leaves for college. Even though Opal went away herself plenty, she did not like the idea of Adam going someplace because he might get old and die without coming back. This is not a story for someone who has not read the Raven Boys series, because you most likely won’t get most of what is happening with Adam and Ronan. But it’s a fascinating story because Opal’s view of the world is quite strange and very fractured. Plus, if you read the series, you most likely want just a tiny bit more of Adam and Ronan.